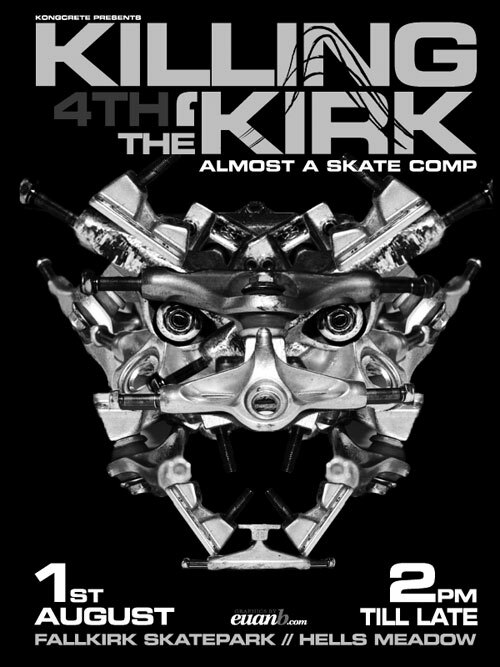 The 4th annual "Killin the kirk" competition takes place on the 1st August at the park in Hellsmeddow, Falkirk. It runs from 2pm until late. Sponsors so far are Relentless, Skateboard Scotland and Nike SB.